There are a few foods that I overdose on once summer rolls around: fresh tomatoes, stone fruits, berries, and, of course, squash! If you’re swimming in squash right now, I’m here to help. 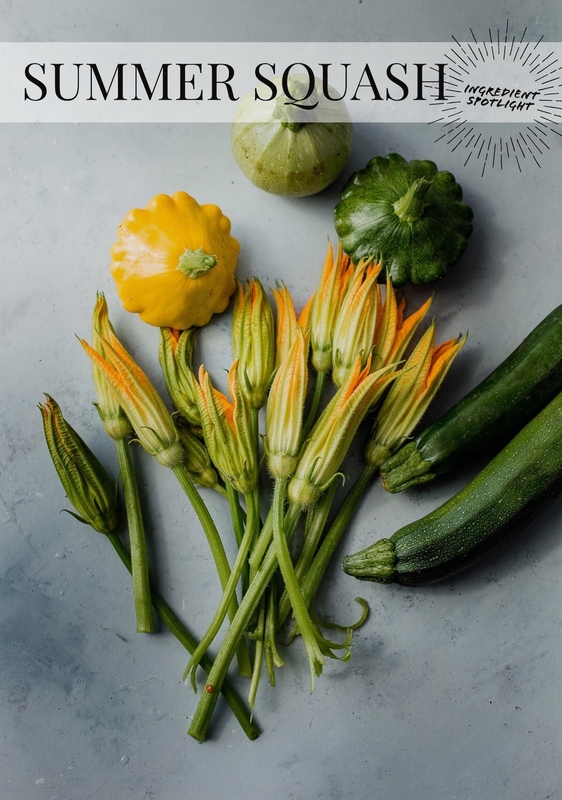 If I’m being completely honest, we eat summer squash (specifically, zucchini) all year long, but our consumption of it skyrockets in June, July, and August when it is available locally and tastes at its best. There were a few weeks not long ago where we were grilling 4 to 5 zucchini every few days! While the squash plant family is quite huge, consisting of everything from Asian and African varieties (cucumbers, melons, gourds) and winter squash (butternut squash, pumpkins, etc. ), today’s latest edition of the ingredient spotlight series focuses exclusively on summer squash. We’ll even cover those beautiful, yet fleeting squash blossoms that you might have eyed and passed up in the past! Let’s get cooking! If you’ve been limiting yourself to traditional zucchini, I highly recommend branching out. 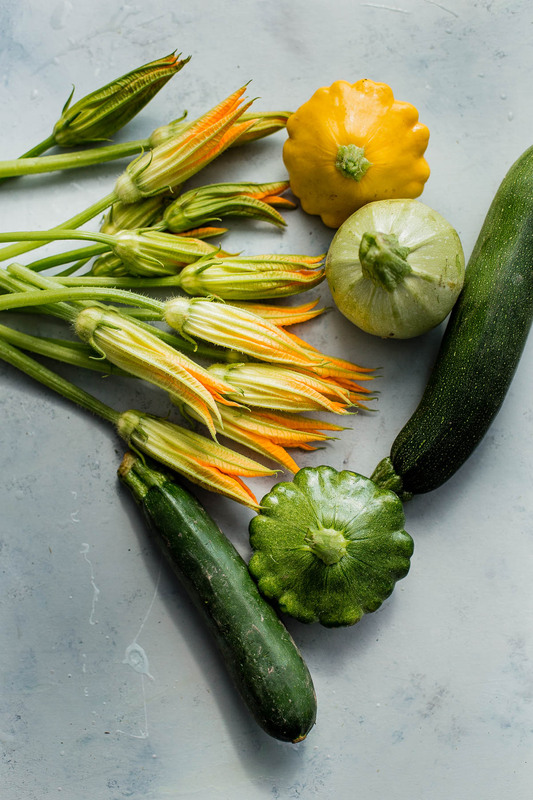 Some of the best summer squash comes in all forms, colors, and shapes. My best advice? Head to your local farmer’s market, which is bound to offer all varieties of summer squash. I generally prefer zucchini (which comes in all colors, even striped and two-tone versions!) to yellow squash which has larger seeds and, in my opinion, is more bland in flavor. My go-to summer squash variety! 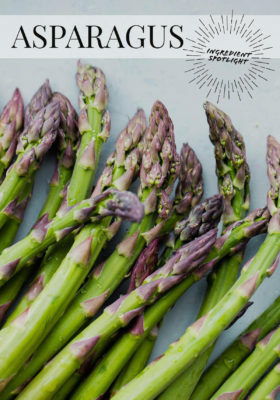 My favorite way to prepare them in the summer is to slice them lengthwise and grill them. Since all summer squash varieties have a large water content, it is best to salt them in advance of cooking for maximum flavor and texture. This helps draw out the moisture (osmosis), which allows it to gain color more quickly (ideal for grilling or roasting) and prevents the zucchini from leaching water during the cooking process (eg. watery zucchini noodles). I prefer to slice them lengthwise, place them on a baking sheet in a single layer, salt them lightly on both sides, and allow them to sit for 10 to 15 minutes. 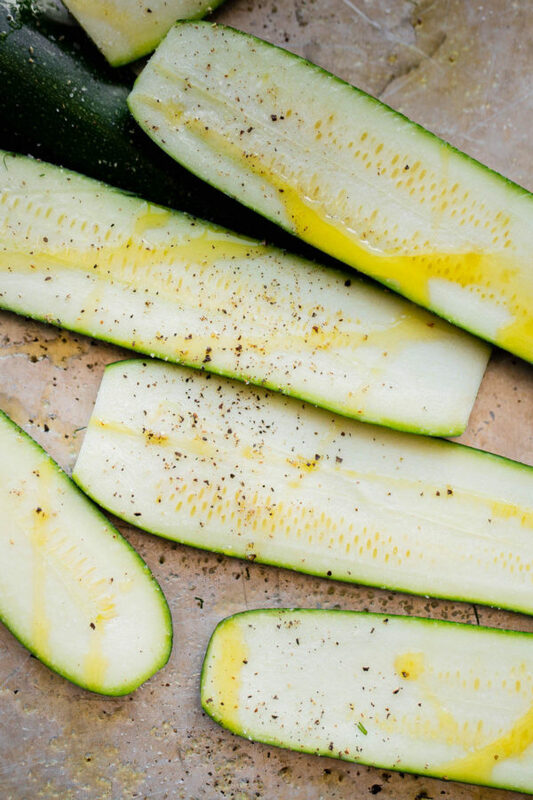 Before grilling, pat the zucchini slices dry with a clean kitchen towel or paper towels. Coat lightly with olive oil, grill on medium-high, devour. Ok, squash blossoms are obviously not a variety of squash – but they’re worth covering in a bit more detail, because they are delicious but quite finicky! 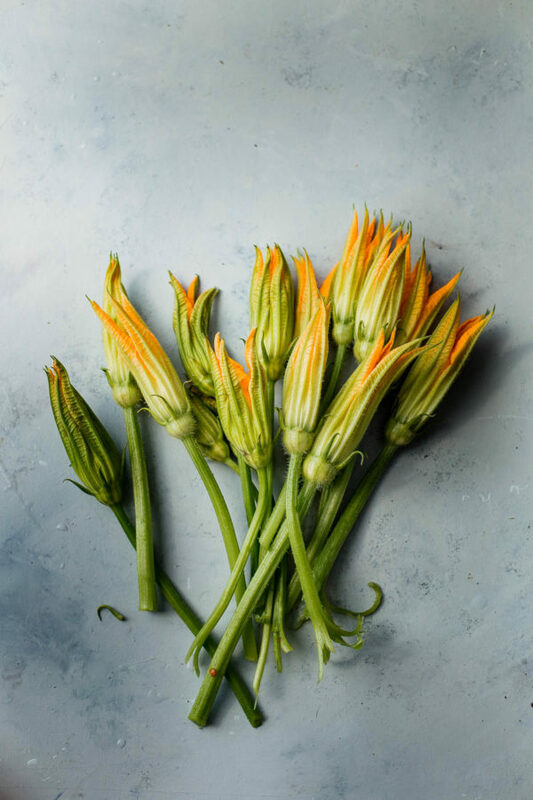 Most squash blossoms that you’ll find at standard farmer’s markets (you won’t find them in grocery stores) are the male edible flowers of standard zucchinis. If you find small zucchini with flowers attached, these are female flowers. I think a lot of people shy away from zucchini blossoms because they have absolutely no idea what to do with them. But the minute you start thinking of them as an extension of a zucchini, it starts to make sense. They actually have a taste very similar to that of a young zucchini–and can be served raw, added to frittatas, served on pizzas, stuffed, or tossed into pasta. While squash blossoms can be prepared or used in simple preparations, my favorite preparation is to stuff and fry them. These fried squash blossoms (stuffed with basil ricotta) are worth the effort! For squash blossom storage tips, see my preparation and storage tips below. These shallow, round summer squash, with scalloped edges, come in yellow or green varieties. Since they have a slightly crunchier texture compared to regular zucchini, they can work really well in raw applications. Bonus: the smaller shape makes them much easier to peel into ribbons with a mandolin. Perfect for a summer version of this shaved vegetable arugula salad! I’ll slice the smaller ones into discs horizontally and grill or roast them. Larger patty pans are perfect for stuffing! Round zucchini (sometimes called ‘eight-ball’ zucchini) remind me of green mini pumpkins! These taste very similar to regular zucchini, but the shape makes them ideal for stuffing. Trim the top and scoop out the insides as you would with winter squash or bell peppers. Unlike thick skinned winter squash, summer squash is delicate, thin-skinned, and is not meant to be stored for more than a week (depending on when it was picked, of course!). Summer squash is also sensitive to extreme low temperatures, so avoid any cold spots in your refrigerator. When buying summer squash, size is important. Large zucchini (longer than 6 inches in length) tend to have tougher seeds, are less sweet, and are very, very watery. Try to pick small to medium zucchini as they will have the best flavor. 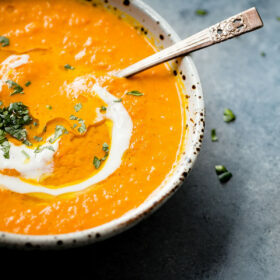 Look for very firm-fleshed squash that has little to no blemishes. Always, always store summer squash unwashed, in a perforated bag or open produce bag, in the vegetable drawer of your refrigerator. While washing your produce might save you a minute or two in prep time later, moisture is your worst enemy when it comes to food spoilage. Unwashed is best! If you’re lucky enough to find squash blossoms, it is important to prepare them as soon as possible. Aka. a few hours later or that night at the latest. The delicate petals do not hold up well and they’ll quickly shrivel and wilt which (1) destroys their texture, (2) makes them impossible to stuff. Look for tightly closed blossoms (as they will hold up the longest and be easier to stuff). Just before preparing, remove the pistol or stamen. Truth be told, I never wash mine and strongly advise against it! 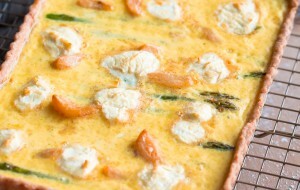 To store, lay the squash blossoms in a single layer on a paper-towel lined plate or half sheet pan and refrigerate. The possibilities for summer squash are endless! 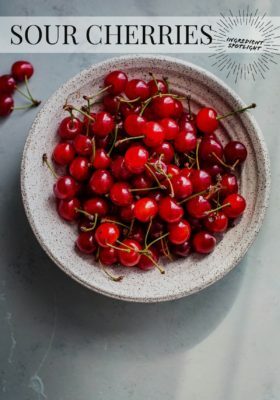 I love to use them in everything from bite-sized appetizers, salads, summer tarts, and desserts. Summer squash is fairly delicate in flavor, with sweet notes, and pairs particularly well with: basil, cheese (cheddar, feta, parmesan, ricotta! ), lemon, garlic, mint, dill, tomatoes, and pine nuts. 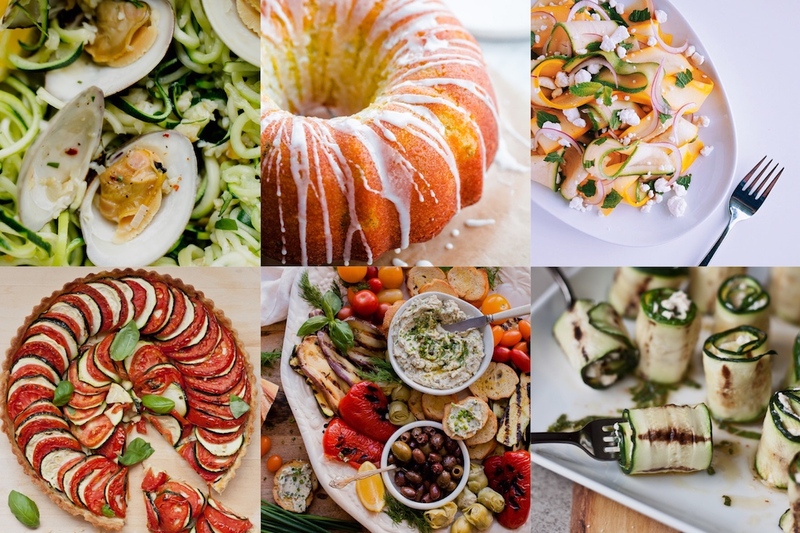 For more recipe inspiration, browse the recipe archive. DROWNING in zucchini right now. Not a bad problem to have. Great post! 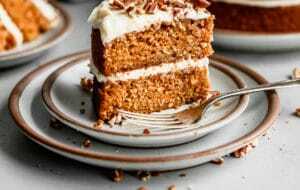 I like the review of the ingredients and some of the recipes I have forgotten about!